Characteristic of all flycatchers, and therefore also of the Spotted Flycatcher, is the way they hunt for insects. They are waiting on a branch of a tree or shrub. In a short flight, almost like a butterfly, they will catch their prey. 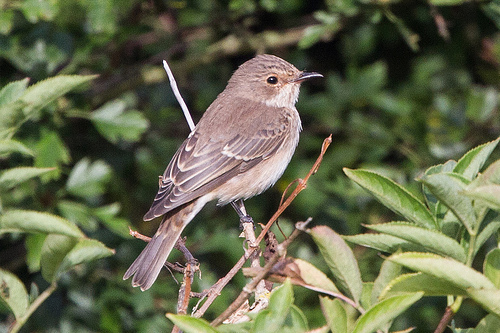 The Spotted Flycatcher has a grey appearance and lacks the white stripe on the wings. 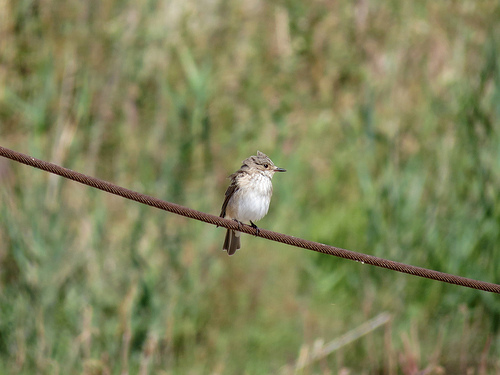 The Spotted Flycatcher is greyish brown. The Black Redstart has a striking reddish brown tail.